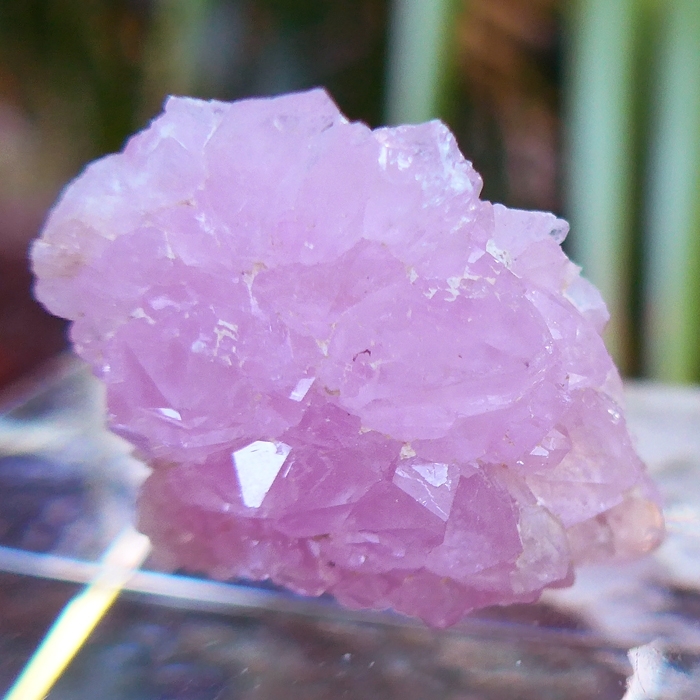 Dimensions (HxWxD): .75" x 1.5" x .85"
This exquisite 1.5 inches long Deep Pink Crystallized Rose Quartz Specimen weighs 15.2 grams and is a rare & unusual form of rose quartz, given its deep pink coloring by the mineral magnesium sulfate. 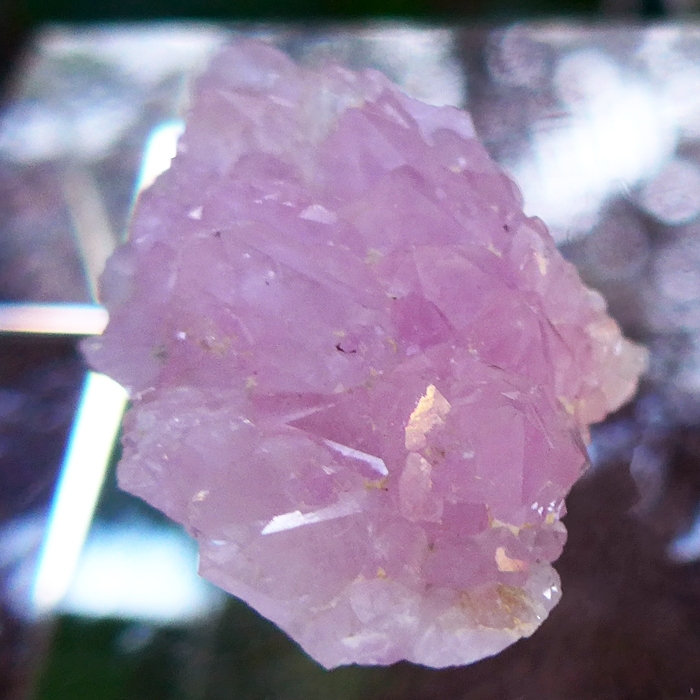 Its many crystals fold out into a curving, swirling form reminiscent of a flower opening its blooms from the matrix. 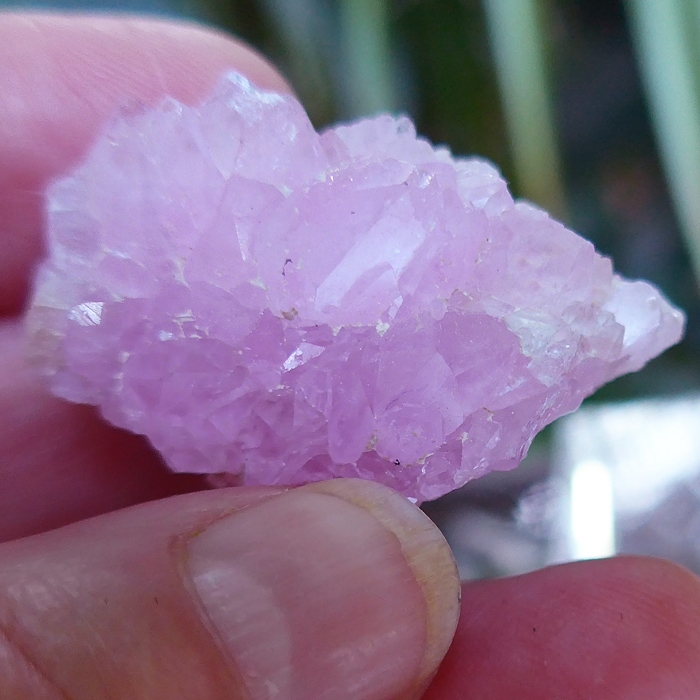 The 'blooms' are individual Crystallized Rose Quartz termination points visible in the photos on this page. Note: Weight above is shipping weight. Actual weight is 15.3 grams.